Learn how to update SMI SM3257ENAA flash drive firmware and fix format errors .download SM3257enaa Mptool V2.03.58 v8 k1129 and repair corrupted SMI flash disk . Do you have a corrupted or unrecognized SMI USB flash drive , if you have one you can fix it now .Smi SM3257enaa Mptool V2.03.58 v8 k1129 is designed to format SMI SM3257 Chip controller .SM3257enaa Mptool V2.03.58 can update SMI flash firmware and fix format errors such as Write protection and unformatted flash drives . Smi SM3257enaa Mptool V2.03.58 v8 k1129 is support only SMI with Chip vendor SM3257enaa ,so please you must be sure that your flash drive chip vendor is SM3257 .You can use Chipgenius software or USBDeview V2.30 utility. How to repair Smi SM3257enaa flash disk ? Download Smi SM3257enaa Mptool V2.03.58 v8 k1129.rar zipped folder from download links below . Insert corrupted SM3257enaa usb stick to your PC . 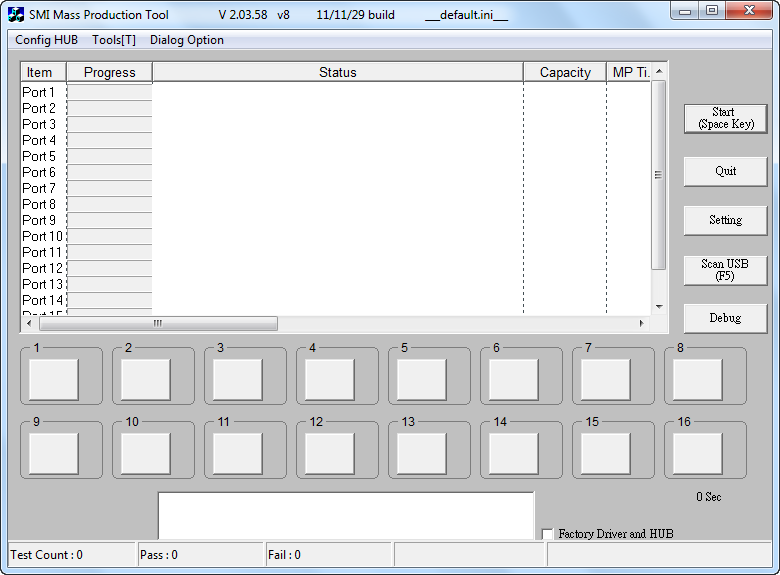 Extract zipped folder and open sm32Xtest_V58-8.exe , if your flash drive supported , you will find your flash info appears on software interface . Click Start to begin updating flash drive firmware . Have i to Open Case and read chip part numer ? Hi , I Did something wrong, From Multiple Erase All. and now my usb is not recognized.what can I do to fix this? flash id not found in data base. why?